I was out of town for a pharmacy conference in Anaheim for a few days and have not had time to blog. It felt really nice to be back home and back to my daily routine. 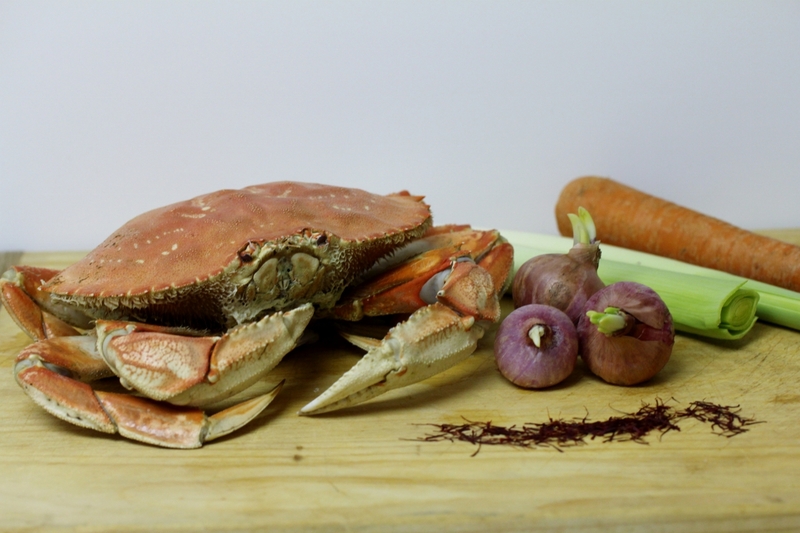 For dinner, I decided to make crab bisque, inspired by a crab dish that I had at Joe’s Crab Shack near our hotel. 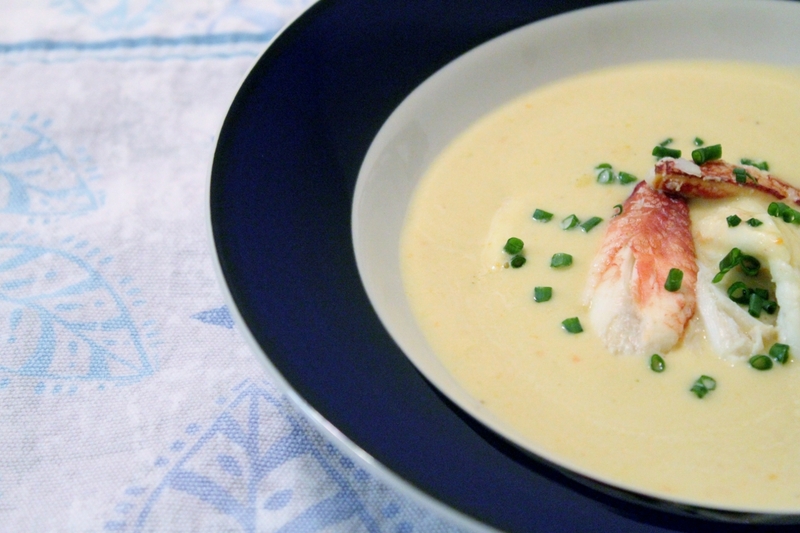 French in origin, bisque is a smooth and creamy soup based on a strained broth of crustaceans, usually lobster, crab, shrimp, and even crayfish. I paired the bisque with toasted baguettes and a glass of white wine. 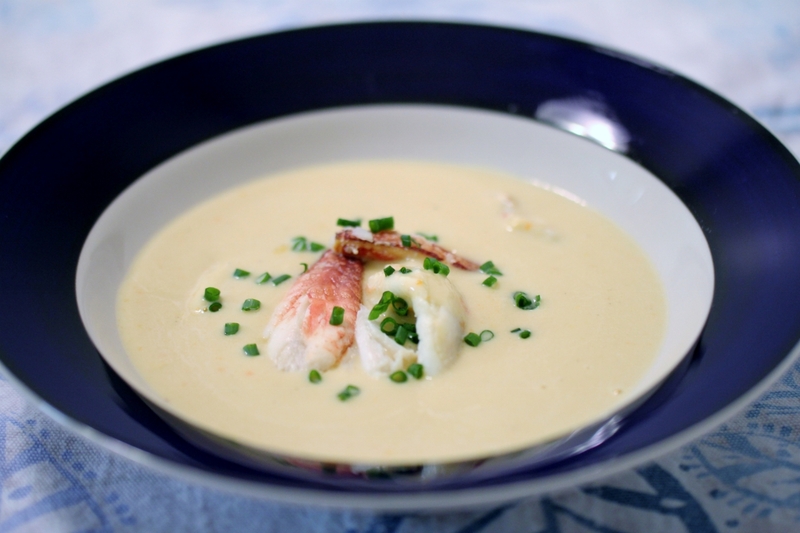 If you are entertaining guests this holiday, this bisque would be a perfect start to your dinner party. 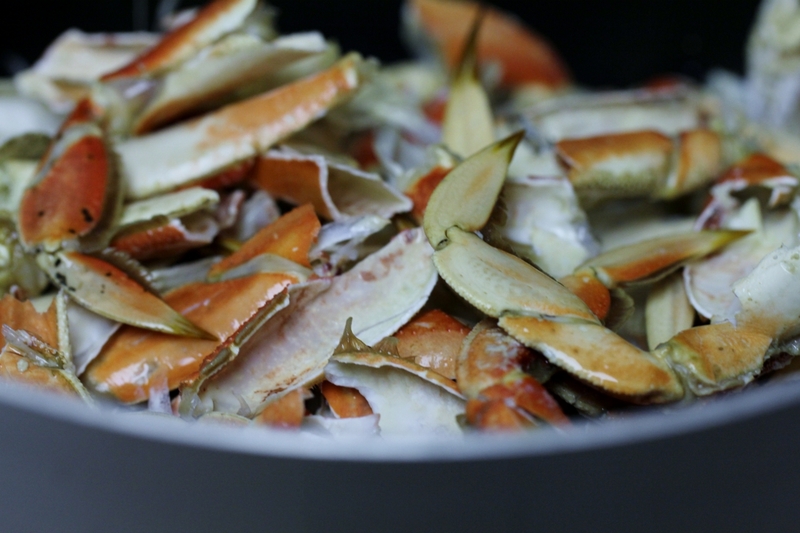 Remove crab meats from the body and claws. Save the shells. 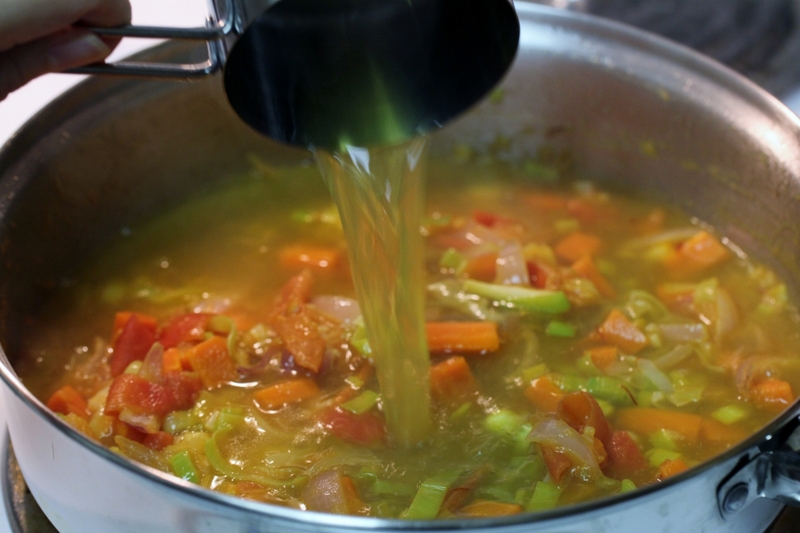 Place 5 cups of water in a clean stockpot and turn on high heat. Put the shells in the stockpot and cook for 30 minutes. This should yield 4 cups of crab stock. Add olive oil to a large sauté pan and turn on medium heat. 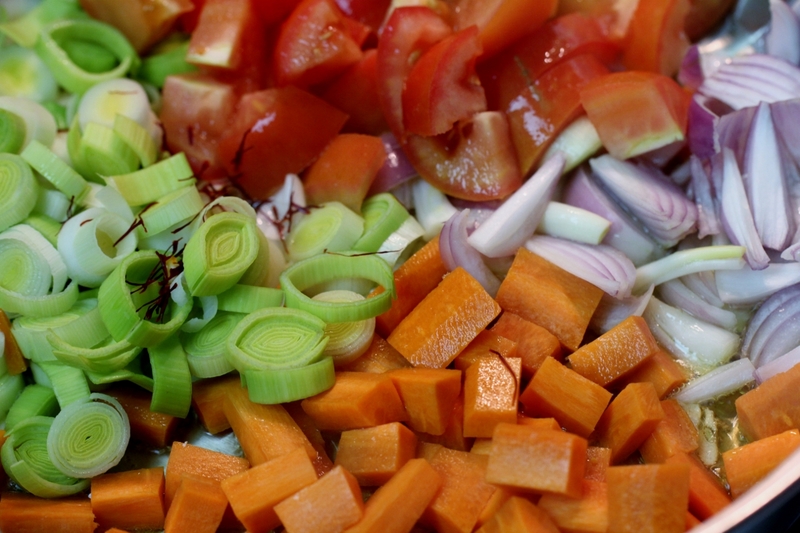 Add the garlic, shallots, leeks, carrots, tomatoes, and saffron and sauté for 20 minutes. Add 4 cups of strained crab stock to the sautéed vegetables. Turn down heat and simmer for 30 minutes. 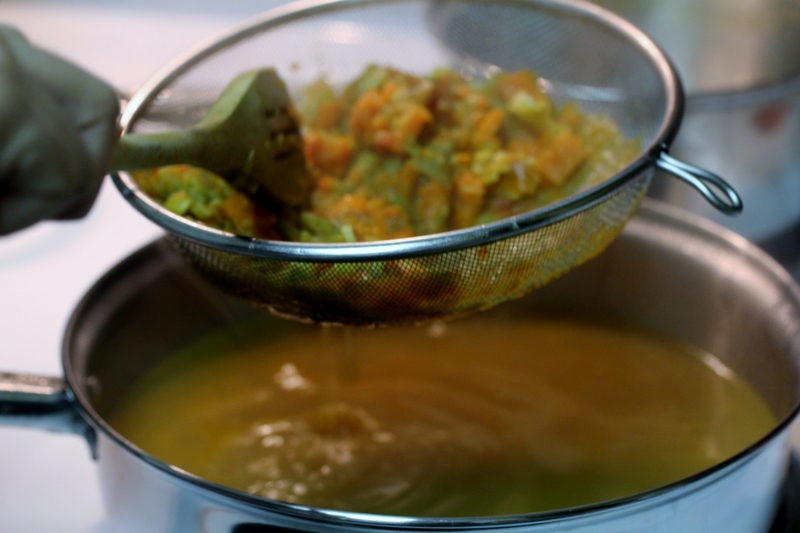 Press entire contents of sautéed pan through sieve into a clean sauté pan. 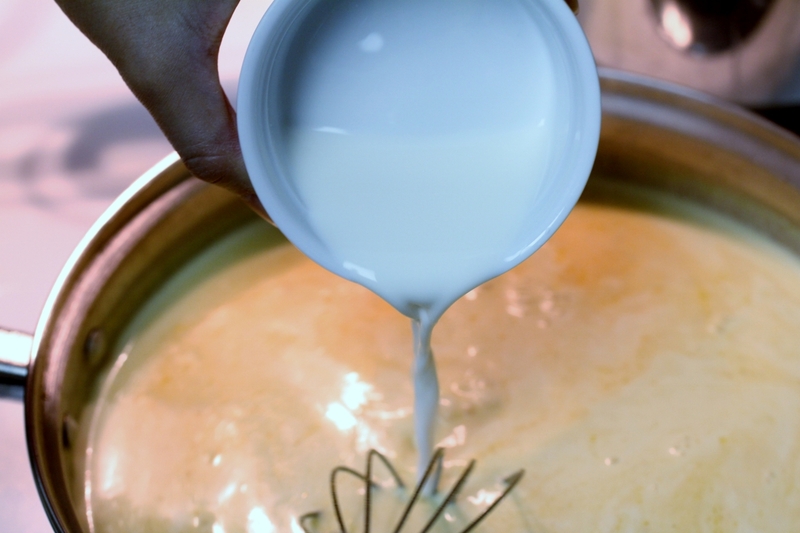 To finish the bisque, add heavy cream slowly, using whisk to blend. Add white wine. Simmer on low heat for 15 minutes; bisque will thicken slightly. 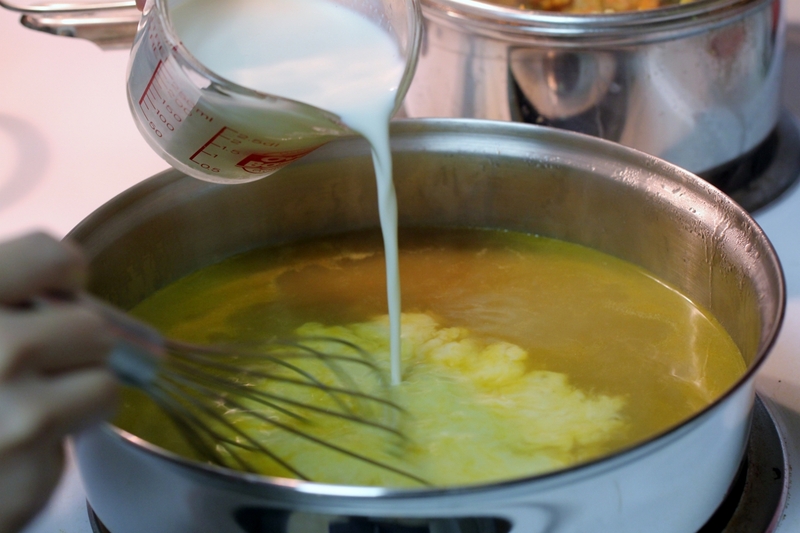 Mix cornstarch with 1/4 cup water and slowly add to bisque with whisk. Simmer on low heat for another 15 minutes. Add pepper and sugar (more if you like a sweeter taste). 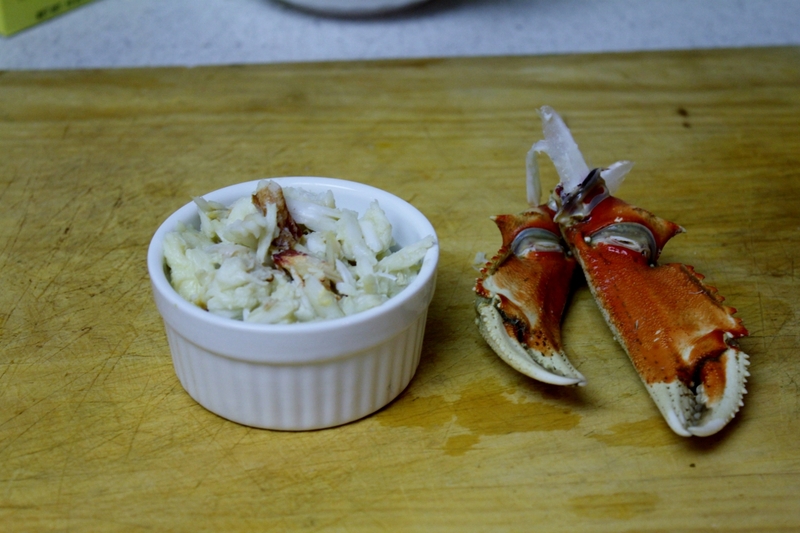 Place pieces of previous cleaned crab meat in bowl and add 1 cup of bisque.